The iPhone games I play. Or less succinctly, the iphone games that continue to maintain a prominent position in screens four and five (where games go, between day-to-day and apps in development) at the start of 2010, even though I’ve got other games that I really should be playing and/or researching instead. The iPhone has seen the rerelease of several classics from the laserdisc arcade era, including the Dyer and Bluth collaborations Space Ace and Dragon’s Lair, and while the mentioned games are both worth reliving, Cobra Command, a laserdisc title I played only once as a kid, is the only one I keep coming back to regularly. 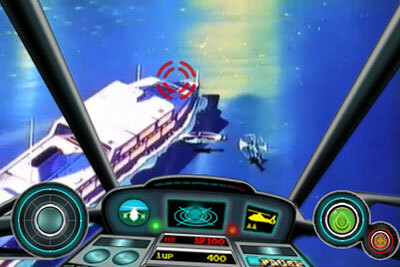 Licensed and released for the iPhone by Revolutionary Concepts, Cobra Command somewhat straddles a laserdisc genre that had split into two camps: fully animated narratives stitched together scene by scene (with progression more or less based on a series of quicktime events), and more traditional arcade shooters with animated scenery and backgrounds (think Astron Belt or M.A.C.H. 3). The result is a visually interesting game requiring more skill and less rote memorization (although plenty of that is needed to), leading to its longer lifespan on my iPhone. One of my first iPhone game purchases, and still one of my all-time favorites, Zen Bound plays to the strengths of the device, making clever use of tilt without the control scheme feeling gimmicky or tacked on at the insistence of a marketer’s bullet point. As a bonus, the full soundtrack, written by downtempo artist Ghost Monkey, is freely available to purchasers of the app (click on Secret Exit in the main menu and enter your email address for a download link). Hell, even the UI is fantastic. 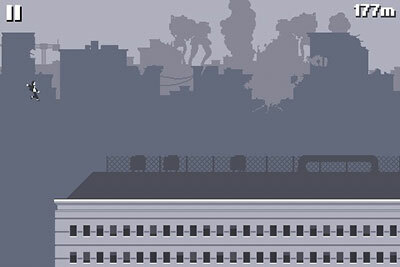 The opposite of Zen Bound, Semi Secret’s Canabalt is frantic, maddening, and addictive, with distilled one-button gameplay and music by indie darling (and all-around good guy) Danny Baranowsky. 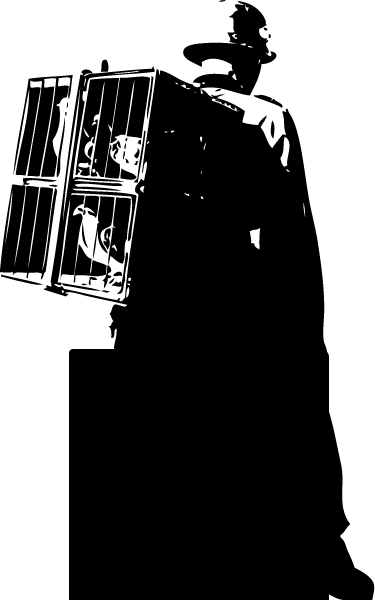 Version 1.2, now available, adds a new music track, new obstacles, and leaderboards (with a current and ungodly world high score of 367,562 meters). Hot tip: tapping with my index finger instead of my thumb increased my top score by over 10,000. I’m told it has something to do with reaction timing, and why the same finger is used to time laps on a stopwatch. Based on the work of artist and musician Daniel Johnston, Hi, How Are You is a solidly constructed surreal platformer with Q*bert mechanics. The crew at Dr. Fun Fun has done an excellent job translating Daniel’s output into playable form, and the result is a smile inducing experience. While I’m not a fan of the default tilt control scheme, the alternative virtual d-pad feels and controls just fine. 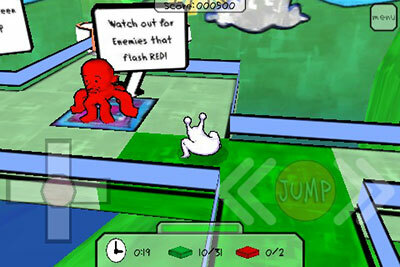 Oh, and if you haven’t seen the 2006 documentary The Devil and Daniel Johnston, rent that first, then play the game. Props to Taito for really knocking it out of the park with this one. Space Invaders oozes style, and is by far my favorite of all the classic gaming rehashes now available on the iPhone. My only disappointment is that the extra use-your-own-music mode spits out levels based on metadata, rather than giving us the music-matching procedurally generated levels of games like Audiosurf and Vib-Ribbon. Still, awesome game. Ported from the 2007 Xbox Live release designed by original game creator Toru Iwatani, PAC-MAN Championship Edition adds time and skill challenges, wrapping the PAC-MAN concept in a new veneer of slick presentation and sound. 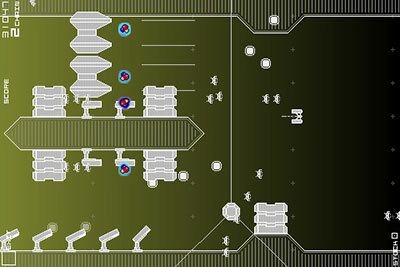 While virtual d-pads can be rough on a twitch-based game like this, Namco offers four variations, allowing the player to decide which is most comfortable (I prefer Type 2, seen above). 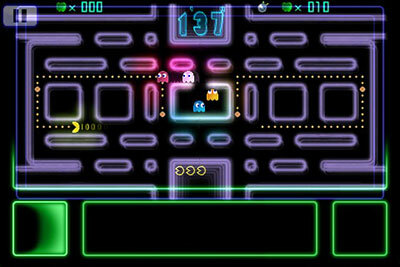 One of four different Namco iPhone games based on the PAC-MAN license, this is the one you’ll want to go with. I had no idea Zen Bound and Hi, How Are You were on sale, thanks for the heads up! You should definitely check out Hook Champ and Spider: The Secret of Bryce Manor. I picked up Spider a bit ago, but am only a few levels in… enjoyed the game, but for some reason I’ve yet to go back to it. The narrative behind the gameplay is intriguing, so I’ll revisit it soon. Thanks for the Hook Champ recommendation, added it to my iTunes list. Ditto for Hook Champ, awesome game. 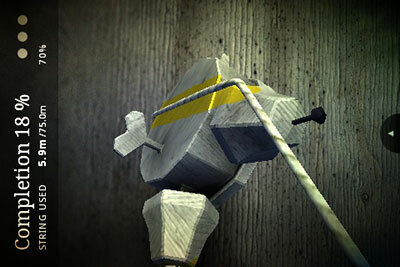 Downloading Canabalt & Zen Bound right now.